Have your ever relaize how great it would be to enjoy true sound clarity? How about getting the movie-like experience your always wanted? These were the things that came to my mind when I finally decided to buy my first wireless home theater system. It’s not fun trying to get only so much out the insuffeint low grade home theaters. If your like me, and I like the best, but I’m looking for the specifics. Check out the top 10 wireless home theater systems list I found on the market that will complement your way of style and experience. Is Sonos The Best Home Theater System? If your looking for style and class with nice crystal clarity to entertain your living room? Sonos has it all when its comes to sound clarity, It can be tough to listen to music any other way after experiencing the sound technology Sonos brings. As I looked though the reviews many people like my self had a different experiences when it comes to this style of entertainment some love it, some hated it but I will leave that up to your own desertion. 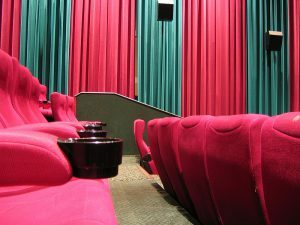 That’s why this article is here to explain the pro’s and con’s to see if this is the best home theater system. Great Clarity and sound, Sonos displays good decent bass system which helps in getting the best in movies , T.V., and music. Deep bass sound that fills the room. Connects wirelessly to Sonos speakers which it brings out so much sound. Wirelessly stream all your favorite music. Compare to Bose this has good bass but not the powerful mega bass your get with other competitors. Offen, people ignore what the fne print says and go on to purchase the system with any knowing of whats need to give the full experience. Enclave Audio Systems is Different From the Rest. 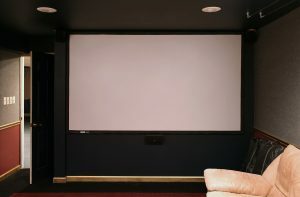 The number one reason why I think this stands alone because there is no need to open a Wi-Fi connection But there is more to this home theater system. 6 enclosed speakers which delivers the surround sound needed. DOLBY DIGITIAL DTS for intense sound and quailty. Wisa audio speakers and Tuned HD 360 sound. This audio system allows your home to look like a great entertainment center while completmenting the overall look of yor living room. I believe this home theater system bring a lot for a smaller package which handles a lot of devices. Nothing beats a Bose right? I believe there’s more than meets the eye whenever your use a Bose system. They always over deliver when it comes their products but when i stumble over this particular model, I was taken back by the sound and quailty also the price which reminds to be careful about. Bose got what your are looking for when comes to great sound quailty for years to come. This system has a 300 accussticmass 300 sound bar to carry the sound in living room and shows it has great power, but just wait till your hear the bass, It’s Like the difference between hearing bass and feeling thunder. The wireless 300 bass module balances the playback to every speaker to give your experience a one of a kind sound. Surround sound can help bring a lot to the table but at the same time your could save space and money with Bose smaller speakers. This is a good home theater system. Think of a Camaro, squeezed into a small little black box, that looks sleek and carries a lot of your favorite songs, movies, and videos. 2 front speakers, 1 center speaker, 2 surround sound speakers and 1 subwoofer. Bluetooth wireless for the connection of all your devices. Crystal Amp Plus feature works to get rid of any distortion and interference for crystal clarity. HDMI for the best picture and sound quailty features. As your can see, there is so many features to this model, but always remember to do your own research on the best model for yourself. I can only hope this helps in your search for the right wireless home theater system. Wouldn’t it be nice to own a piece of luxury that increases happiness in your life? Imagine have the best surround sound speakers all while your hooking up your favorite devices to a Logitech system. Logitech Z906 5.1 Surround Sound Speaker System has the right features to get the most out of what your want in a entertainment system. Logitech gives your a continuous 500 watts of power with the ability to crank up to a 1000 watts max if needed for movies of high audio output. THX certified Speaker system is the best on the market, so anytime your use THX technology with your home theater, its like spraying lighter fluid on flames. The best part about this model is its fairly inexpensive which should give your more flexibility for your money. Don’t forget about the Dolby digital capabilities to keep your on the edge of your seat with entertainment. The main console control is very easy to operate and blends in with your entertainment center. I remember my first Walkman, I thought I was the man because I was the first kid on the block to have the latest song to play for friends to listen to. Now I invite friends over to watch a game using a Sony sound system to enhance the game time experience. 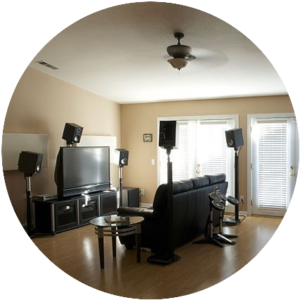 this is where the fun memories start when your have a the right home theater to use for the right occasions. Everything is wider in and much more exciting using Sony surround sound bring streaming into every room of your choice. this system supports Blue-Ray systems which delivers a sharp crisp sound. WE all love 3D video action, it’s makes viewing so much easier and full of colors and live action to keep your in your seat. 3D Blue-ray technology comes with bright colors and high definition just like the quailty of picture and sound your get from a movie theater. Sony offers a device controls for easier access though any iPad or Android, and IPhone device. Imagine setting your favorite walk-in music every time your walk though the door of your home and playing your favorite song. Have the power to control your home theater before your enter is awesome. You can get a Yamaha 7.2-channel surround sound with Dolby Atmos and DTS excitement to add to your living room with a Yamaha system. People get caught up in relative name brands but I would to your to just experince the true feel of sound and intense action with every speaker and T.V. 4k Ultra-high HD display settings to bring your t.v. to life with amazing colors and live aciton. 10″ sub-woofer to deliver 250 watts of bass power. With all of this technology and features your have the best at your arsenal for great entertainment. Panasonic has always been a regular go to for preimium audio equipment. From buying car sound system, to listening to my favortie song on my mp3 player, Panasonic Home Theater System has the best line of home theater systems out. single connection HDMI cable to access movies and T.V. shows with ease. USB playback gives your access to your own music, videos and movies. Comfort with style and powerful bass sound comeplete with the best in 1080 picture quailty, I believe you wiil be blown away by the features your encounter with this home theater system. Dont your just love saving money on something your were going to buy at higher price? It’s wonderful to have the power to shop and save. I would say this model is the starter kit to a expensive home theater, but delievers the powerful bass your need and the high quality picture your crave. If your looking to save a buck or two, you found the right model, which isnt bad all. RCA systems are soild home theaters with good sound quailty and preiumium sound.The setup process is simple, but once your turn on the system, getting use to the controls is a snap. It’s a good choice to go for a LG system, your can get alot out of this system just on the ifrst night of use. The quailty of speakers has me intrigued to find out more about these surround sound speakers. Wtih 5.1 channel your can get the most out of your own living room with better sound and good picture quailty. 3D technology to view every live aciton sequnce along with movie like quailty. LG Apps download additional apps to make your TV experience customized to your. Private Sound Mode lets your wirelessly send the audio to your compatible smartphone, and then listen over your headphones. As your can see thesee are my top ten in wireless home theaters I hope this offers more light to shine on the subject to the choices your want to make in the future. if your have any questions please feel free give feedback or question to ask section and I will be sure to respond as quickly as possible.